This is the time of year when many children are concerned about finishing up the school year and are excited about the long awaited summer vacation. But before floating about the pool with ease, there is one last hurdle to jump. Shortly, schools will be distributing the final interim report cards for the school year. The skills developed during the year will be your child’s foundation for the more difficult work ahead. What should you do if you are unhappy with your child’s interim report card? It is important to remember that every drop in grades indicates that valuable skills are being missed. An effort should be made to learn and reinforce those missing skills. While this is being done, it is also important to identify and remedy the basic problem, so it does not continue to hurt your child’s education. Is there a behavior problem? Sometimes, bright students get bad grades for behavior related activities. Does your child hand in homework? Is it correct and on time? Is your child bored with schoolwork, and therefore is not paying enough attention? These are not excuses; they are symptoms of different problems. You must identify the problem before you can remedy it. plan to do better? It is important that your child knows you take the situation seriously. Work with your child to develop a plan that will help achieve better grades. Let your child know that your are supportive and that you believe in his or her abilities. Talk with your child’s teacher or counselor. Your child’s teacher or counselor is a professional educator. What are his or her observations? What does he or she recommend? It is important to remember that the difficulty that caused these poor grades may be a serious problem. Your child may have missed one or more important basic skills. It is vital that you get help for your child as soon as possible, before the problem gets worse. The summertime provides the perfect opportunity for children to strengthen weak skills and prepare for the more advanced skills they will need in the upcoming school year. The Huntington Learning Center is a nationally recognized leader in the field of improving a child’s basic study skills through remediation and enrichment programs. Students are given individual attention by certified teachers using personalized programs tailored to improve skills in a child’s trouble areas. 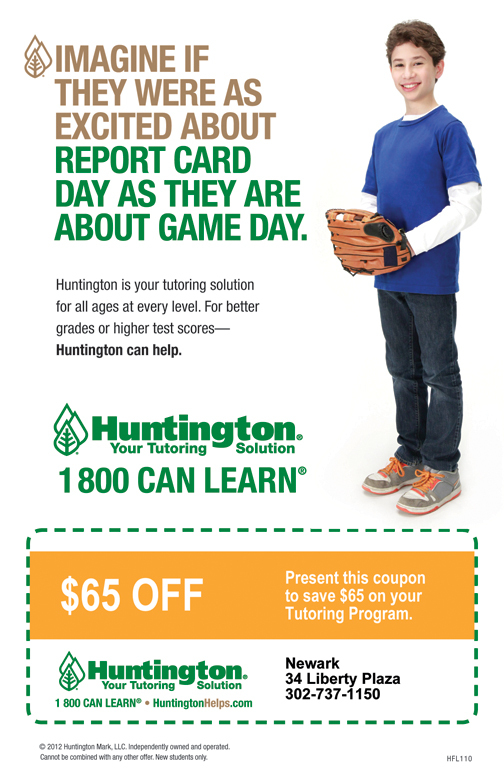 Huntington offers individual testing and tutoring in reading, math, study skills, writing and SAT/ACT preparation to students of all ages. • Our son was struggling with school at the end of 2nd grade and now with Huntington’s help and great teachers, at the end of 3rd grade he is at grade level and looking forward to 4th grade. Huntington really helped our son. • We just wanted to send a note of thanks and great appreciation to all of you for the wonderful work you all did to help Carol get back on track academically. 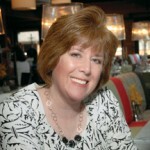 Your skills of pinpointing problem areas then methodically regaining those “lost” skills are exactly what Carol needed. Carol has gained confidence in herself knowing that Huntington staff helped her to get back on track. We will definitely recommend your team to other families.